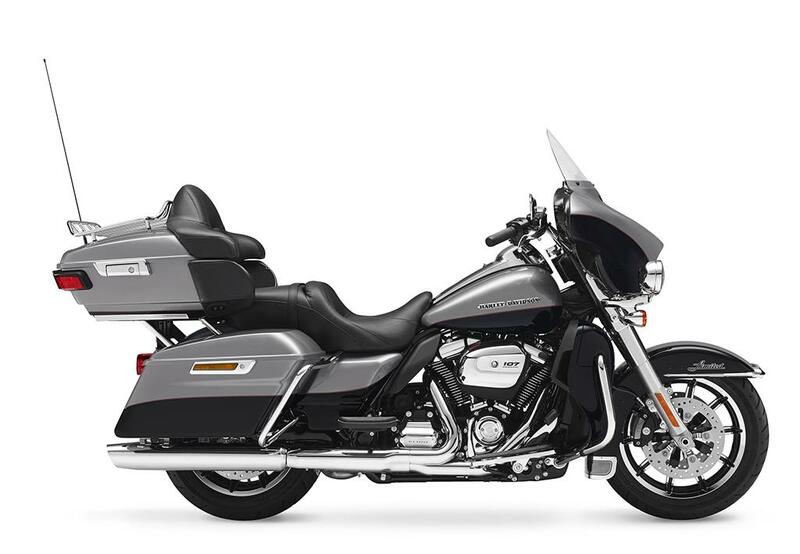 Harley-Davidson have unveiled the complete range of new touring models which now feature the company’s most-powerful engine yet – the new Milwaukee-Eight V-twin. 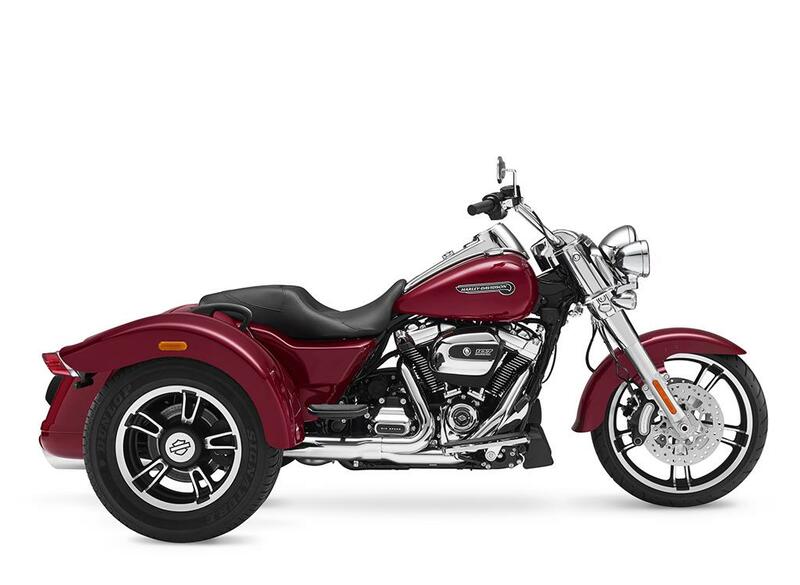 The Milwaukee-Eight is, slightly confusingly, the ninth large-capacity two-cylinder engine in the history of the company, and is one of two major updates for 2017 – the other being new suspension front and rear. 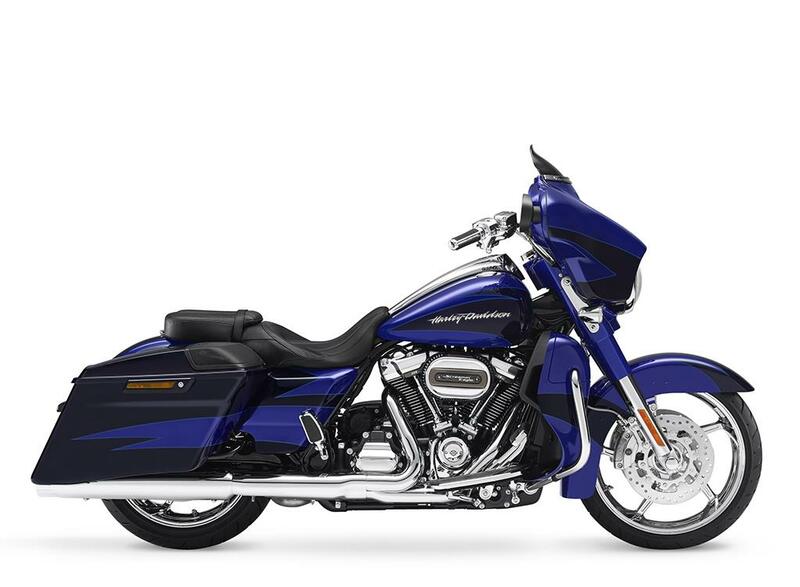 A new engine for Harley-Davidson is a big deal. This is a clean sheet design that actually has three variants based around the same engine. 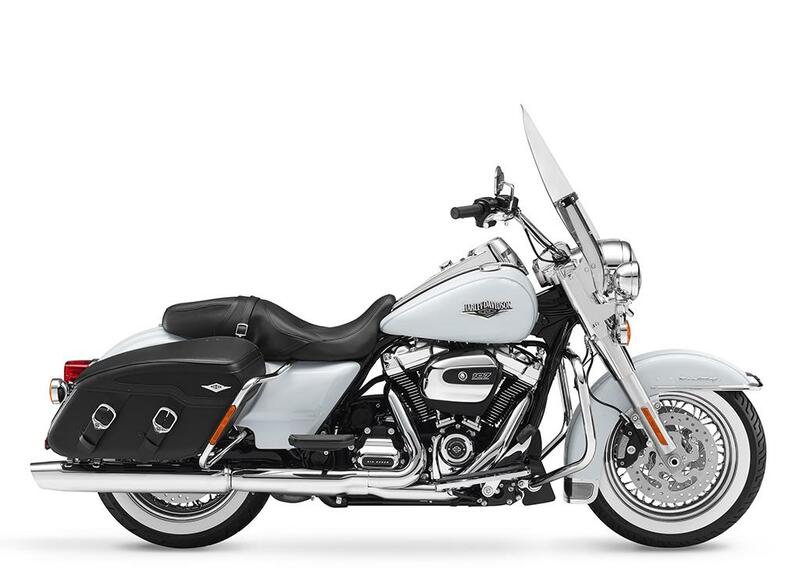 There are two 1745cc (107cu.in) motors and they’re joined by a larger, higher-performance 1870cc (114cu.in), which is used exclusively in the CVO custom specials. The engine delivers more power, more torque, larger displacement, four-valve heads and a higher compression ratio. 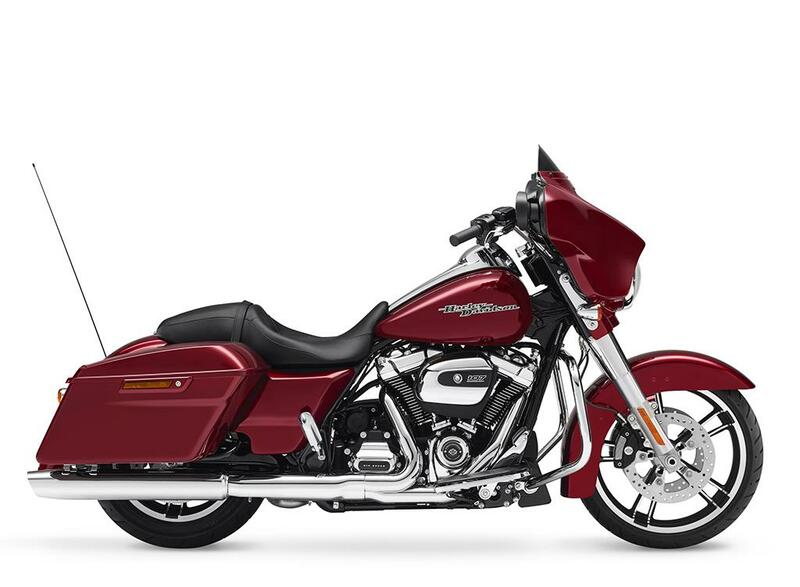 Harley have tried to give some clue as to how much faster the bikes are by stating they are “two-to-three bike lengths faster from 0-60mph” and “one-to-two bike lengths faster from 60 to 80mph in top gear” which isn’t overly scientific, but we get the idea. Fuel economy is claimed to be better thanks to the cleaner-running four-valve and twin spark per cylinder head design which allows for much more easily regulated and controlled fuelling and combustion. Combined with the liquid-cooling on two of the variants, it means the engine is much more efficient. 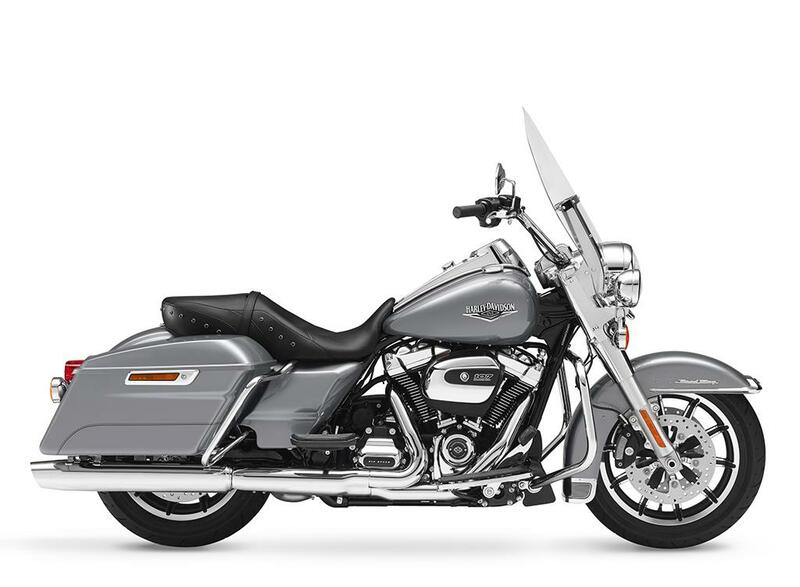 Harley claim that heat management for rider and pillion comfort is also improved, thanks to a new exhaust which has seen the routing changed. The rubber-mounted engine is narrower and fits into the frame better with a slimmer primary drive along with reduced vibration and a lower idle speed. It also features a single internal counter balancer that cancels 75% of primary vibration at idle for a more-refined feel. This is the base model engine which retains the classic Harley 45° V-twin cylinder angle with oil-cooled cylinder-heads and will be fitted to the Street Glide Special, Road Glide Special, Road King and Road King Classic along with the three-wheeled version, which is called the Freewheeler. 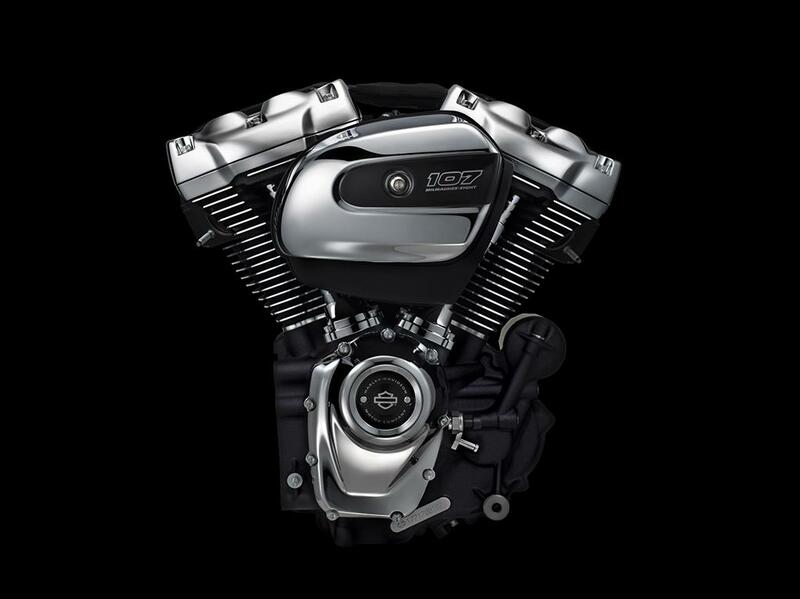 Harley never talk about power figures from their engines we understand from documents filed in America this motor will produce 92bhp; a significant improvement over the standard 107 motor. This engine will be going into the Ultra Limited/Ultra Limited Low, Road Glide Ultra and three-wheel Tri Glide Ultra models. V-twin is producing 100bhp at 5020rpm – the highest power level outside of the V-Rod range ever seen from Harley. 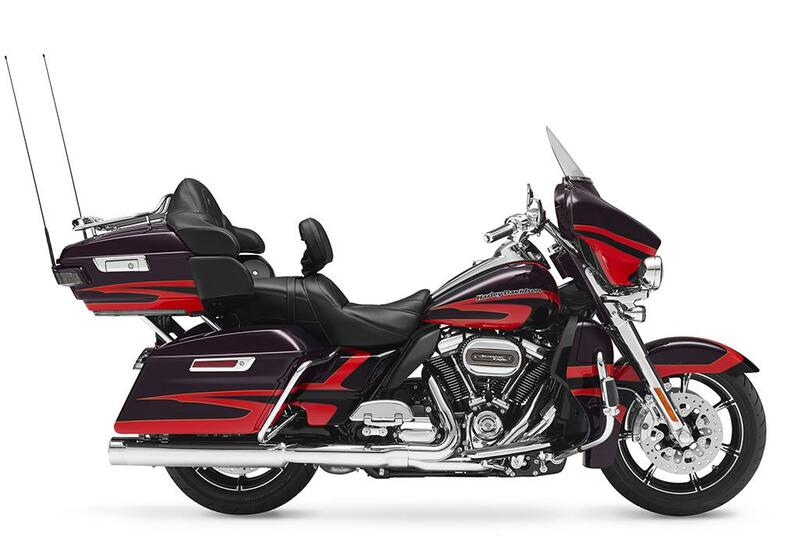 This 114 motor gets liquid-cooled cylinder-heads and has been allocated to the CVO models including new CVO Limited and CVO Street Glide machines. 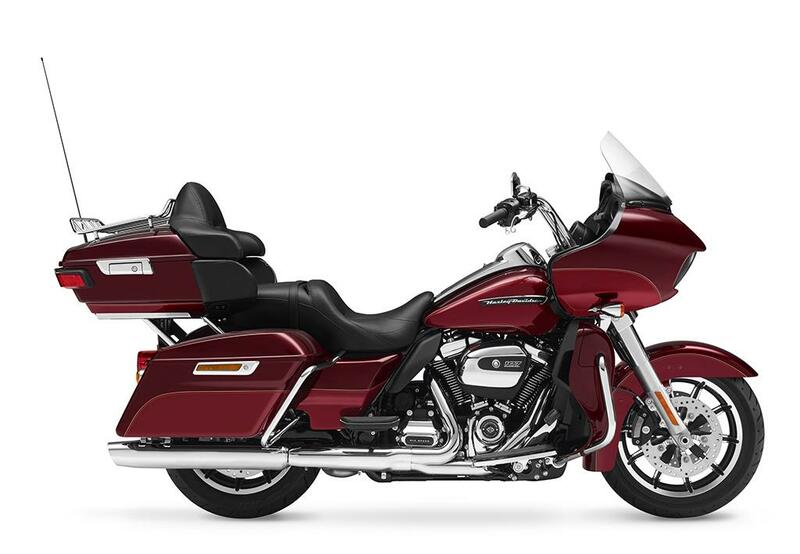 Both ends of the touring models have been changed to increase comfort as well as keeping the extra performance under control. New ‘emulsion-technology’ rear shock absorbers offer between 15 and 30% more preload adjustment depending on the model with a single adjuster knob for changes. The front suspension now features Showa Dual Bending Valve (SDBV) technology that has come from racing developments first seen on the track in cartridge-style forks offering linear damping and reduced weight. We expect the range to start arriving in UK dealers from September 26, 2017. Higher capacity 1780cc 114 Milwaukee-Eight motor with liquid-cooling and 100bhp, plus new suspension front and rear, and LED rear light. The Freewheeler trike "represents iconic Harley-Davidson hotrod-inspired styling and attitude that just happens to be on three wheels." It uses the Milwaukee-Eight 107 engine, along with the exhaust pipe and catalytic converters being repositioned away from the passenger for less heat and a more comfortable ride, and improved fuel economy.